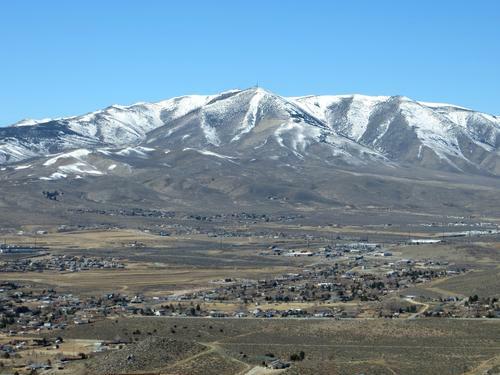 1) In 2012, the snow melted off of Peavine in January. 3) You know who I’ve never had give me that advice? Experienced gardeners. 4) You’re going to miss out on a lot of good planting if you don’t set anything until you know that snow is completely good and gone for the rest of the summer. Here’s my advice: Download a weather app onto your desktop. Keep an eye on it. If the temperature drops below 40 degrees, go take care of your garden. 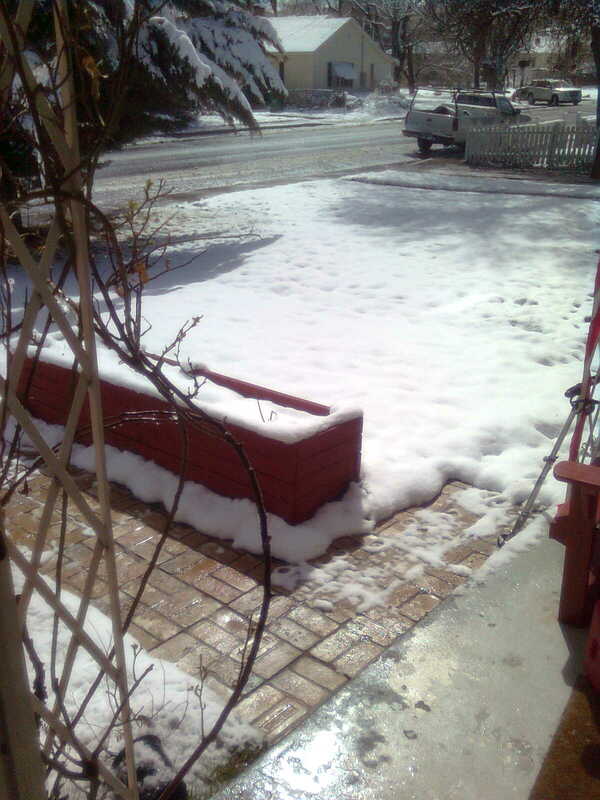 March 28, 2011, after I had planted peas. See the hardy onion camping out in the planter box? You can plant now, as I outlined in my previous article, Mid-April: What to Plant. One caveat, though: cold snaps. As I wrote the last article, the high was 70 degrees. Right now, the cold wind whips at 41mph, with a high of 50. Next Tuesday’s predicted high: 34-39 degrees. In general, your plants really want to live in at least 50-70 degrees. They won’t thrive below that temperature, but most of them won’t die either. If you already have cold weather crops above ground, don’t worry too much. If your lows are predicted to drop below 28 degrees, go ahead and toss a sheet over them during the night. Be sure to take that sheet off at sunrise, so those plants can absorb some of that nice morning light. Cold weather crops will not grow any bigger at this temperature, and most seeds will not sprout below 50 degrees. But your cold-weather crops will not die unless you have a “hard frost”, where temps drop below 28 degrees for more than a few hours. Even then, they’ll probably only sustain a little foliage damage. But if you’re worried, feel free to cover them at night. Your warm weather plants need to stay at 40 degrees or above, but they prefer 50 or higher to keep growing. I let my nightshade seedlings blow around in the breeze, letting the wind strengthen their little stems, down to 40 degrees. When the temperature drops below that, I fold the lid back over the greenhouse. If you don’t have a greenhouse, take them inside. During daylight hours, illuminate with a daylight balanced UV light. Several plants don’t even like 40 degrees, such as basil and eggplant. Have you ever picked some perfectly beautiful basil, only to have it turn black overnight in the fridge? Your fridge isn’t freezing, but it could be too cold for basil. Heat-loving, it can die well before 40 degrees. (Hint: the best way to store basil is in a jar of water, on the table, like a bouquet.) Eggplant won’t die at 40 degrees, but it’ll certainly get a little floppy and sad. My rosa bianca seedlings are the first to tell me when I need to cover that greenhouse. Germinating seeds in this weather takes a little more effort. If your seeds are mobile, such as in planters or peat pots, bring them inside. Let your nice, comfortable house do the work. If you put the seeds in the ground, and you don’t anticipate warm, sunny weather for at least a week, you can drape some clear plastic over the soil. Try to use a thickness of 4mil or more. Be sure to tent it up with sticks or rocks, to allow ventilation, but not too high or the wind might catch it or you won’t keep much heat in. When the sun shines, even the meager sun through iron-gray stormclouds, the air beneath the plastic will heat. 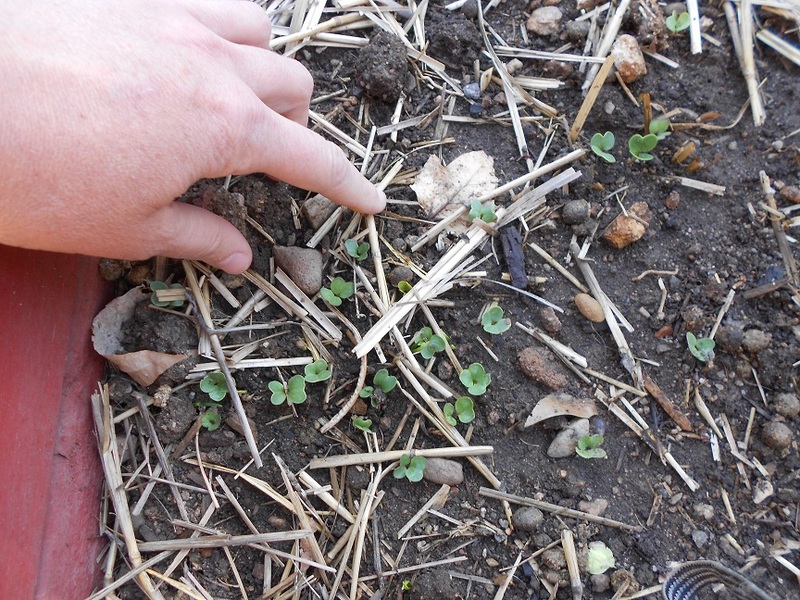 Peek each day to see if little sprouts have come up above the soil. 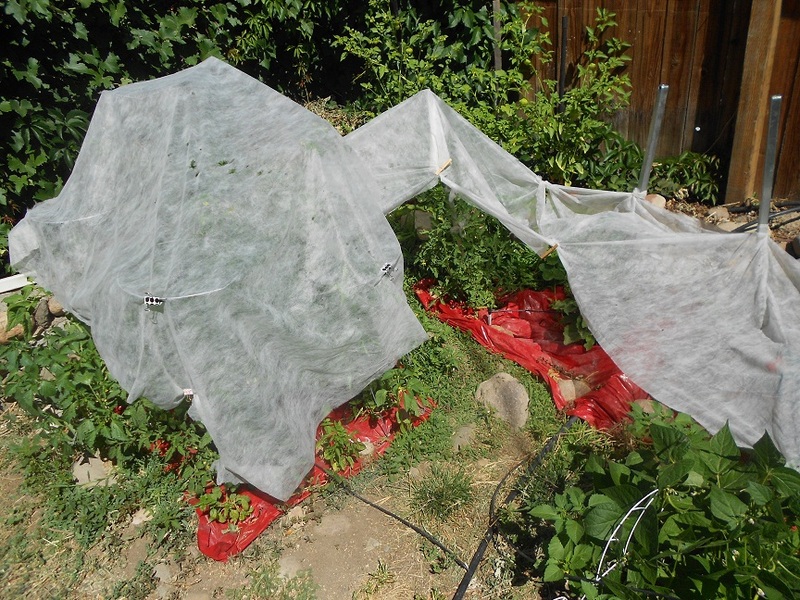 When they do, either tent the plastic even more to allow more ventilation, or replace with floating row cover (frost blanket.) Be aware that, during a very warm day, the air under that plastic will get even hotter. If it’s over 50 degrees, take that cover off of your sprouted plants. If your area of the world usually has lots of cold and wet this time of year, you might not want to try germinating outside. Putting seeds in an environment that is too cold and too wet at the same time can completely hinder germination, costing you valuable seed. I have a friend in Montana who pre-sprouts her beans to avoid that problem during her short growing season. Even in mid-May, her garden isn’t ideal for planting. Germinating in peat pots or small flowerpots can serve the same purpose. Then transplant them outside when they’ve got a good head start. Last year, I used plastic to germinate my carrot seeds, but for the opposite reason: Though the weather got cold at night, last year’s highs were the warmest on record. I sowed those carrots in poor soil that hadn’t been gardened in over 10 years, and had no remaining organic material. In addition, I used a garden more than a block from my house, not right in my backyard. Each morning I’d water them, and by midday the soil was dry and cracked. To solve this, I tented the plastic over the soil to hold in the moisture. Air warmed beneath it to about 70 degrees, which sprouted those carrots right up. When all the seedlings were up, I removed the plastic and let them play in the sun as they needed to. Black plastic or dark mulch fabric can also warm the soil for seed germination, but may need to be removed or covered with light straw when the weather gets hot, to protect your plants from scorching. What alternative ways can you warm your garden? Floating row cover, also known as shade cloth. Not just for frost protection. First of all, we’ve discussed covering it at night. 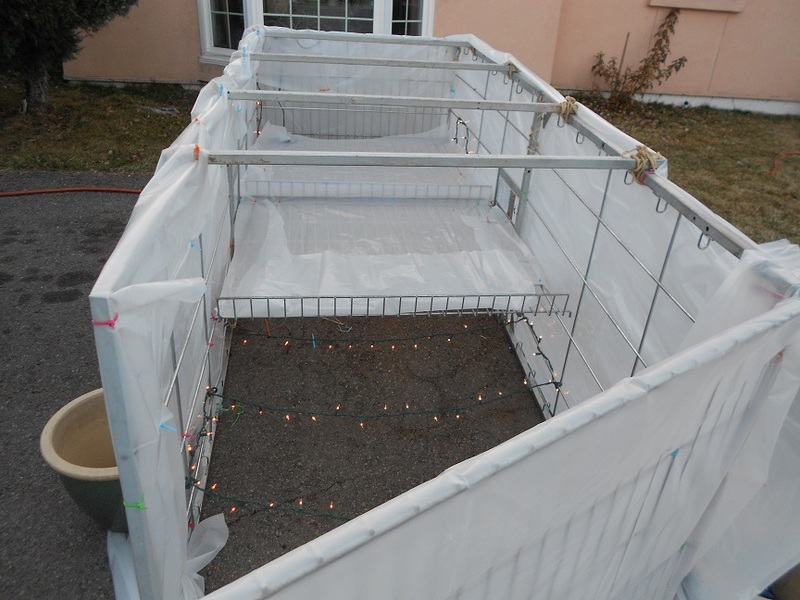 You can use an old sheet, a light blanket, an upside-down bucket, or some commercial floating row cover. This will give it a few degrees more protection, and keep the frost off. If predicted temps look to be 8 or more degrees below freezing, you may need to use a thicker blanket, like a quilt, tented well to avoid crushing little seedlings. Plastic can protect your plants, but only if it’s not actually touching the plant. Be sure there’s a little air space there, too. I’ve never used Wall O’ Waters, but some of my friends swear by them. They also swear while setting them up. The thought of all that work for each of my 40 nightshade plants repels me, and I’d rather tote my plants inside each day until after mid-May. That’s just an opinion, though. Those Wall O’ Waters wouldn’t sell so well if they didn’t work. My greenhouse at night, with the top on and Christmas lights for heat. Christmas lights can provide up to ten degrees more protection, if used below a frost blanket or plastic. I learned this when I stumbled on a site written by a Minnesota cooperative exchange. I’m thinking… if anyone knows about cold, it’s Minnesota. That year, I had a late frost and a few strands of extra Christmas lights. We’re one garden that did not lose a single plant to that frost. If you have an older strand of Christmas lights, those work better than the new LED lights. Built over reclaimed wire racks, with 6mil plastic, zip ties, and sisal rope. Greenhouses provide a warm and calm environment, and they don’t have to be expensive or difficult to build. My greenhouse cost me $2 this year, a dollar for the zip ties and another dollar for the sisal rope. Last year, it cost me $30 for the plastic and the Velcro. A friend donated the racks upon which it’s built, and I can fit about 700 seedlings in red plastic cups inside it. 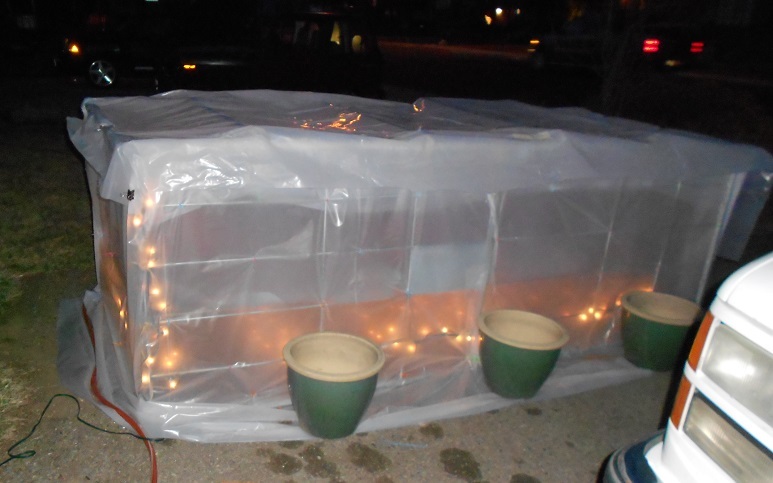 Also, a link has circulated and gained notoriety about building a $50 hoophouse that can hold many more than 700 red plastic cups. Heat lamps provide even more protection during serious frosts. These should not be necessary unless you plan to operate a greenhouse in January. However, I am guilty of keeping a low-wattage reptile bulb in my greenhouse and turning it on during freezing weather, with a couple of quilts on top of the whole thing. This is overkill, I know, but the plants have enjoyed the warm nights. Call me chicken, but I need those babies to live. One last method of protecting your plants: good old-fashioned muscle power. Before I built my greenhouse, I placed my red plastic cups in laundry baskets and toted them inside at night. When my seedling count rose from 200 to 800, I couldn’t do that anymore. For the first 2 years, though, I did. In April of 2011, we had a medical issue where my husband couldn’t help me tote plants inside at night for a few weeks. 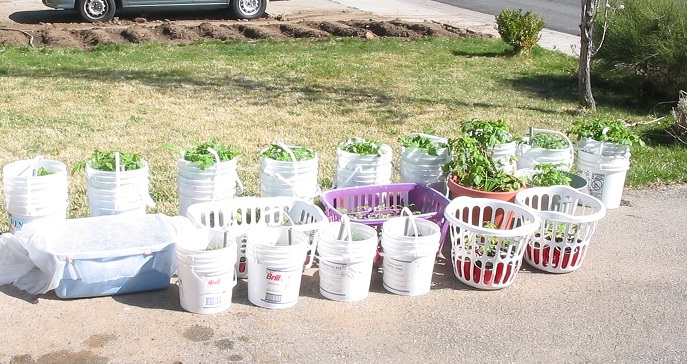 I had laundry baskets of tomatoes and peppers, flowerpots with lettuce and chard, and potatoes in 5-gallon buckets. We survived it, but I ended up losing a few pounds that month as well. A week after May 15th, I took all of those seedlings from the laundry baskets and planted them outside permanently. Protecting your garden from cold snaps doesn’t have to cost much, but it does involve attention. I have Weatherbug downloaded on my desktop, with the current ambient temperature displayed on my toolbar. For several years, my husband has complained about the memory this takes up on the computer, but I won’t let him delete it. For years now, since I downloaded it, I haven’t lost a single plant to frost. And I haven’t once checked to see if the snow was off of Peavine. I had the opportunity to guest-edit this issue of Countryside! Jerra on What are GMOs? The May/June 2018 issue of Goat Journal is out!